Collaboration between the IWLA and local community organizations with the mission of engaging today's youth to be Wise Stewards of Tomorrow. Join the Young Naturalists and NYS Parks educators on Saturday March 17th at 1pm at Green Lakes State Park to learn about the mystery that makes Green and Round Lake green. 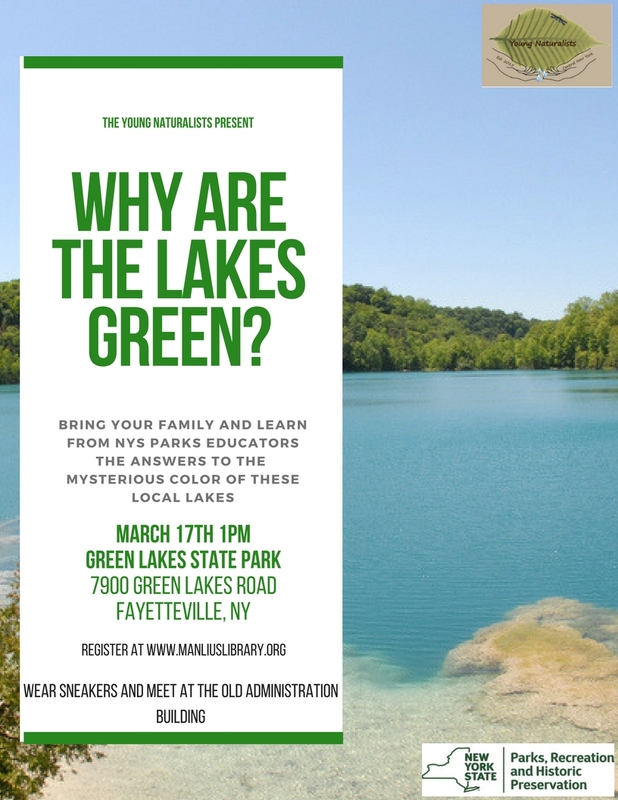 Bring the family for a guided hike around the lake and learn about this beautiful local treasure.